There are 32 posts in this thread, and it has been viewed 11148 times. Ah, thanks for the info! I have found your group a while ago, and I found the nifty Neo Tile editor there. I am currently working on a NGPC game. Game logic is about 90% done (needs some balancing), sound is 0%, and graphics are 50%. It is a Neo Geo-themed sandbox game. Awesome. This is exciting news indeed. Would you be interested in documenting your development in such a way that other people could use it as something of a tutorial or starting point? I see that you've done something similar with past projects. Speaking of past projects, I noticed your Lynx game, and I messaged you on AtariAge. Avatar art thanks to Trev-Mun. Yes, of course. All of my work is made available in the hopes that it will be useful to others. While I don't create tutorials per se, I do take care to document larger projects (such as this NGPC game). I may even write up a technical design section on the project page. I did find the AtariAge topic on my Atari Lynx game, yes! I'm sure some people will find a good use of your Dev Kit, I really hope this motivates other ongoing developers to create new titles for our beloved system! Isn't most of the stuff in his Dev Kit made by Jeff Kurtz? JNX Lazy Finger Rapid Fire Device for Neogeo and Superguns, On sale now!! It sure is. What I do is take these often forgotten, hard to find, or just in unusable states dev kits, and I take them to being usable immediately by developers, along with sample games I write, as proof of concept. Just make sure you give credit to Jeff, he worked very hard on those dev tools. since you raised this specifc, a JMKurtz has all off a sudden joined our ranks! He hasn't had much to say on this yet though? There was a tool that converts a wav file to the type needed and some other stuff. This is some great news! 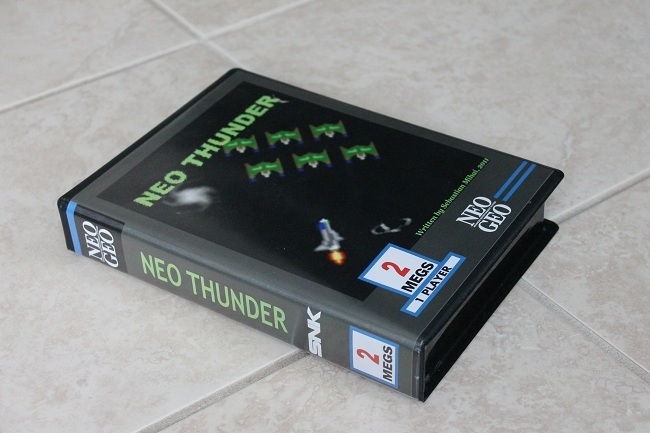 I remember that when I created Neo Thunder in 2011, the dev site hadn't been updated since 2006, but it seems to be bustling with activity now! Thanks for your work on the dev tools, Jeff! Merlin sent me the game and it works fine on my top loader NGCD. Its a cool little game I would be very interested to see how it evolves in the future or play any other stuff you program. Thank you both for doing this!